We passionately believe in the potential of Big Data and the power of our Platform and it is flattering when organizations in our industry recognise what we are doing. 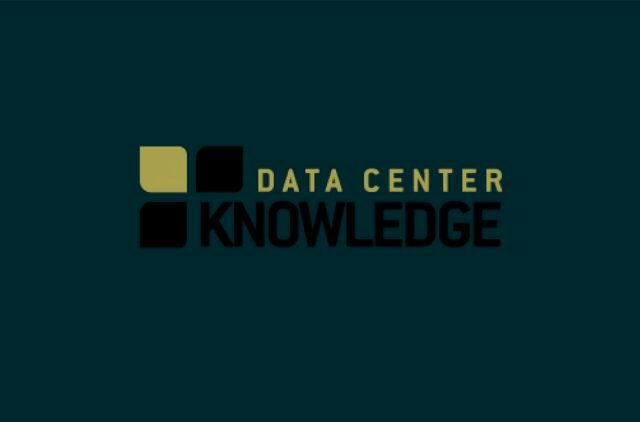 Earlier this year Data Center Knowledge named us as a 2016 Startup to Watch. The editorial team chose a selection of companies addressing some of the most significant challenges facing data center managers and executives today. Most of these companies have emerged from humble beginnings and evolved rapidly, us included. Just a few years ago, being able to compare expected and actual performance of the data center, model, simulate, predict and control a data center’s energy consumption, capacity, total cost of ownership and environmental risks was considered an elusive concept. We believe we are changing that perception. Take Intel as an example. With our Platform the company is providing its clients with the operational understanding they need to make more informed decisions. Intel's objective was to assess how, given the significant energy cost and capital expenses associated with cooling technology, there must be opportunities to run data center facilities at higher ambient temperatures. Our Platform proved Intel's theory to be correct. Intel's challenge is mirrored by many other enterprises posing questions such as how do you model capacity and predict technology inflexion points? How do you know when to implement the right technologies to deliver the greatest return on investment? What happens to IT performance if you challenge accepted operational parameters and push boundaries? In the last seven years, we have modeled 500 data centers with 98% accuracy, justified $800 million worth of investment and answered the above-mentioned questions for enterprise data centers and cloud and colocation providers. At the crux of these 'what if' scenarios is one financial question – how much does it truly cost to run a data center? In another recent Data Center Knowledge article, the publication explained how complex that question is to answer without tools such as Romonet. This is where Romonet adds value to an organization. With the power of predictive analytics both enterprise-class data centers and those businesses providing hosting, colocation and cloud services (multi tenant data centers) can address inefficiencies, uncover significant savings, increase infrastructure performance and maximize profitability. That said, sometimes the information we deliver is used for alternative purposes. For example, Iceotope manufactures servers for cloud service providers and HPC environments. Its liquid-cooled server platform has been modeled and engineered to ensure it harvests as much heat from electronics as possible in the most efficient way. As a result, organizations can reduce data center cooling costs by up to 97%, ICT power load by up to 20% and overall ICT infrastructure costs by up to 50%. Iceotope used Romonet to analyze and prove the performance benefits of its technology compared to traditional, air-cooled servers. Armed with this accurate, quantifiable data, the company secured $10 million in funding to continue developing its technology. The challenges facing data center operators and managers extend far beyond simplistic energy targets. They include everything from profit & loss (P&L) targets, return on investment (ROI), total cost of ownership objectives and Corporate Social Responsibility (CSR), to regulatory compliance and how a company sources its natural resources. Designing a Platform that solves this multitude of challenges is an exciting path, however it is always made more satisfying when those in the industry agree with what we’re attempting to achieve.